Sanders are an essential tool for any DIY person, carpenter, or craftsperson. However, most sanders can not effectively get in tight spaces like corners. This Ryobi Sander is perfect for this situation. 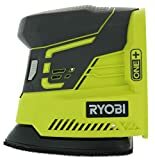 It is part of the One+ family which means it is compatible with Ryobi 18-volt batteries. This powerful, ergonomic tool orbits at 11,00 orbits per minute for a smooth finish on your wood projects. Sanding wood will bring dust. 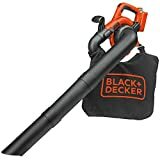 Tackle all of this dust by attaching your favorite wet/dry vac to this tool with the on board vac attachment. This product also includes 3 pieces of sandpaper to get you going. Simply attach it using the hook and loop system. Never miss a tight space again while sanding. Finish the job right, with this Ryobi tool.